ALEXANDRIA, IN- Norma J. 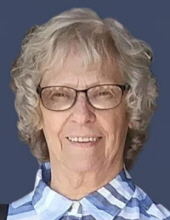 (Lindley) Fones, 78, went to be with her Lord and Savior on November 30, 2018 from her residence following an extended illness. She was born on March 31, 1940 in French Lick, Indiana to Paul and Irene (Martin) Lindley and has lived in Alexandria for the past 11 years. She graduated from Mount Carmel High School in 1959 and graduated in 1962 from Kentucky Mountain Bible Institute in Van Cleave, Kentucky. Norma retired from RCA, formerly of Marion in 2000 after 34 years of employment. She attended First Baptist Church in Alexandria. She devoted herself to her family and was the #1 fan of her granddaughter’s activities. A Service of Home Going Celebration will take place at 3 pm on Saturday, December 9, 2018 in the First Baptist Church, 2107 South Park Avenue, Alexandria with Pastor Michael Deutsch officiating. Interment will follow in Park View Cemetery in Alexandria. Friends may call at the Alexandria First Baptist Church after 1 pm on Saturday prior to the services. Owens Funeral Home in Alexandria is honored to care for Norma and serve the Fones/Ellis family. To send flowers or a remembrance gift to the family of Norma J. (Lindley) Fones, please visit our Tribute Store. "Email Address" would like to share the life celebration of Norma J. (Lindley) Fones. Click on the "link" to go to share a favorite memory or leave a condolence message for the family.